The Centers for Disease Control report that more than 45 million people take prescription drugs each year. Prescription drug overuse is a fast growing problem in the U.S. for which thousands of people seek assistance every day. 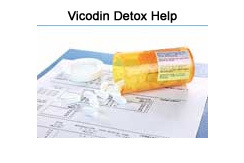 Due to the popularity in which vicodin is prescribed by doctors, may people find it hard to stop using vicodin for chronic pain and opt to attend a Vicodin Detox Treatment. Vicodin is a prescription opiate narcotic pain reliever and is a combination of hydrocodone and acetaminophen. Vicodin is also known by the other names: Lorcet, Xodol, Anexsia and Norco. Individuals who misuse Vicodin sometimes take the drug with alcohol. Long term use, especially in high dosage can create a physical dependency. Vicodin misuse can lead to problems in relationships, end careers and cause financial ruin. Individuals who use Vicodin for long periods of time may increase their dose in an effort to achieve the previous high. Vicodin users may doctor shop, steal other people's medications and fake illness or injury to get the drug. Symptoms of Vicodin overuse are anxiety, drowsiness, breathing problems, lightheadedness, confusion, constipation, abdominal pain, headache, ringing in the ears, dry mouth and seizures. Withdrawal symptoms include: nausea and vomiting, mood swings, anxiety and depression, dehydration, chills and sweats, high blood pressure and muscle ache. Withdrawal symptoms may appear within a few hours of the last dose and may last for several days. The severity of the withdrawal symptoms during Vicodin Detox Treatment will depend on the dosage and the length of time the person has been taking Vicodin. Medical detox is available as an outpatient or inpatient. Many individuals prefer outpatient detox because it allows them to continue in their jobs, attend classes or take care of their family. In this method, individuals self report to a doctor's office or clinic and receive medication such as subutex, suboxone or methadone. They are prescribed tapering doses so they can slowly wean themselves from the opiates and detox at home. The benefit of inpatient detox is that it allows the individual to stay in a center or facility throughout the detox process. While traditional hospital and IV therapy detox from a private facility are both medical detoxes, there are some differences. For example traditional hospital detox usually places patients in psychiatric units or on lockdown and the oral medication that is used in the detox has been viewed by patients as less effective at controlling the withdrawal symptoms. IV therapy medical detox, on the other hand, incorporates the use of intravenous therapy which makes it possible for the medication to be changed as needed as the withdrawal symptoms change which keeps the patient much more comfortable. Research shows that individuals who are successful in completing detox are more likely to be successful staying clean than individuals who fail to complete the detox process. After detox, you are encouraged to enroll in a program that will help you rebuild your life without drug use and Freedom Model Retreats can help you. St. Jude offers a Cognitive Behavioral Learning program that teaches a method of self evaluation and self-directed change. There is no addiction disease, and people are not powerless over drugs. Drug use is a habit and ultimately a choice. By learning that you can choose a different path and consciously developing different thoughts, habits and behaviors; you can have a life that is free from drug use permanently.